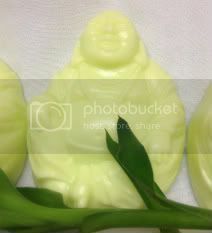 Get clean with our handmade Buddha soap! Our soap is designed to be as gentle to your skin and the environment. Made with a glycerin soap base with no detergents, no surfactants, no sulfates, no alcohol, no parabens and no sugar solutions. Eco-trendy gifts for any occasion! !